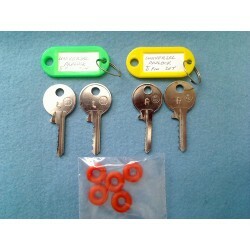 This 6 pin universal bump key set is for right and left warded locks. 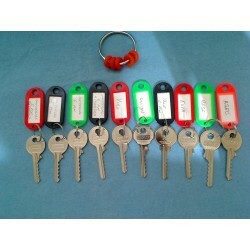 Also choose from shouldered or shoulderless key versions. 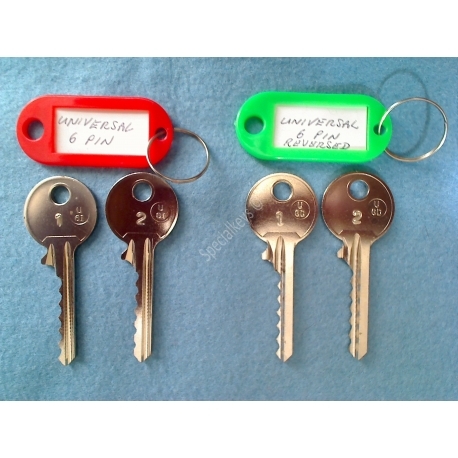 This set consists of 2 x U-6D (Right ward) keys or equivalent. and 2 Unversal U-6I (Left ward) or equivalent.